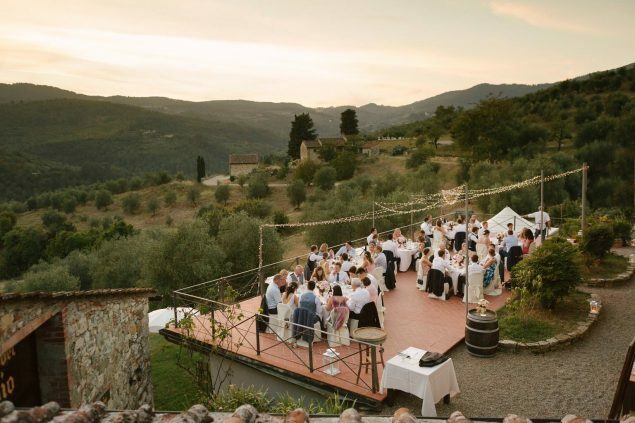 Peach tuscan wedding is title of post of today, Catrine and Stian live in Norway and opted to get married in Tuscany countryside. 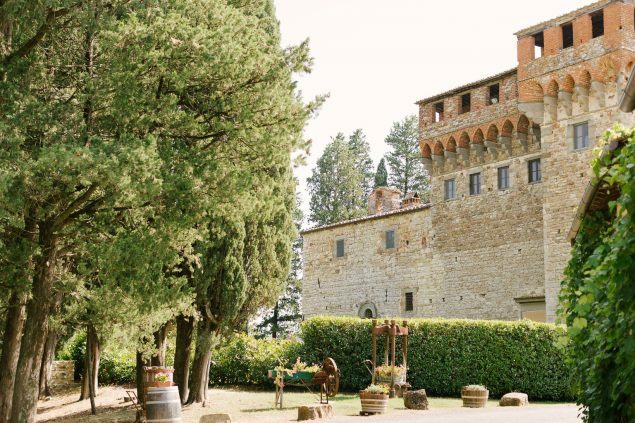 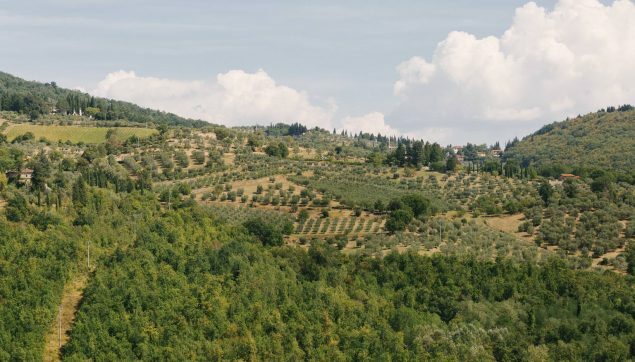 Their choice was il Castello del Trebbio in Pontassieve just few kilometers far from Florence town. 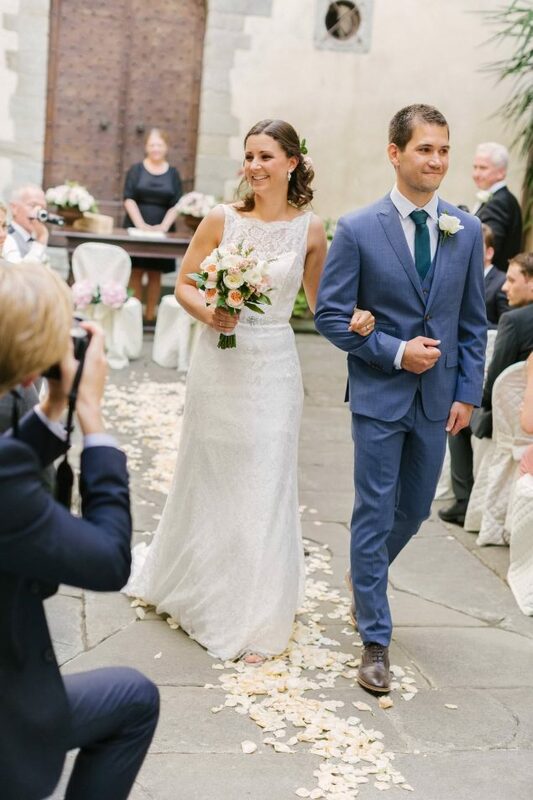 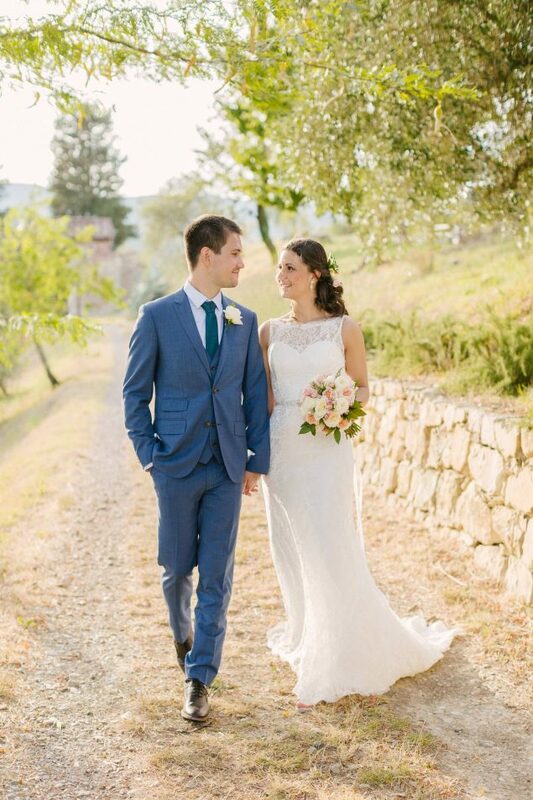 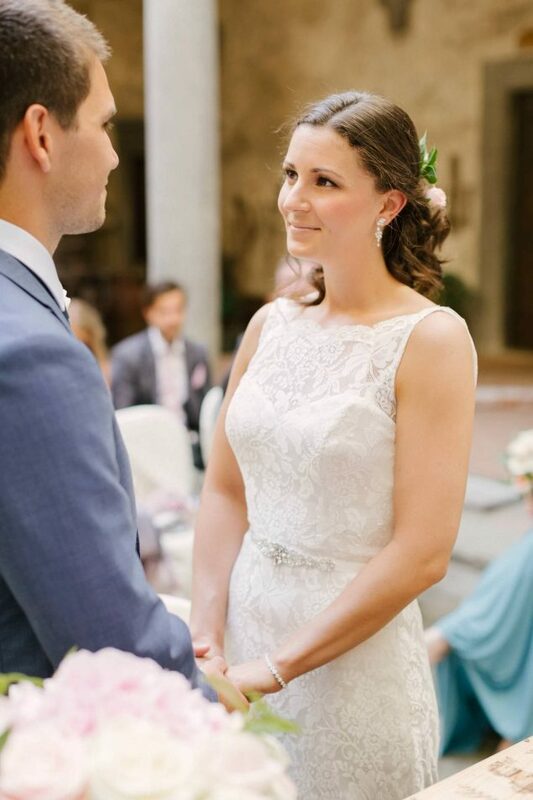 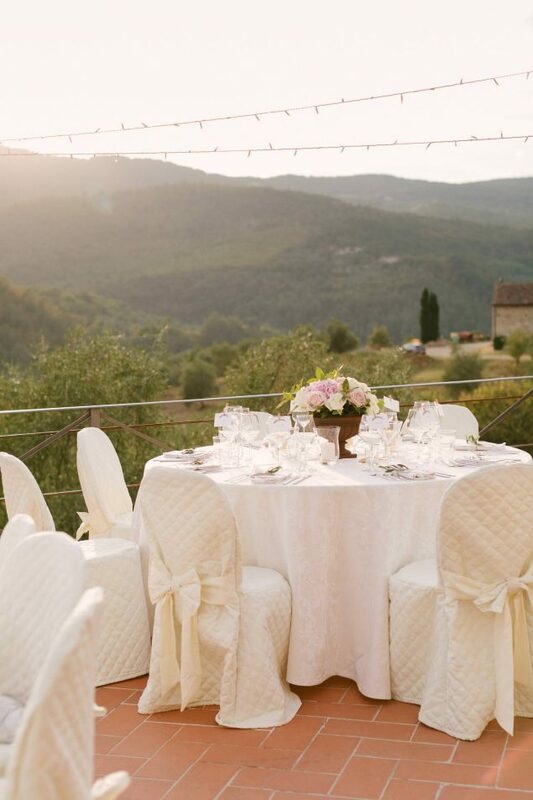 Intimate summer outdoor wedding ceremony on inner courtyard of Castello del Trebbio and outodoor reception on terrace. 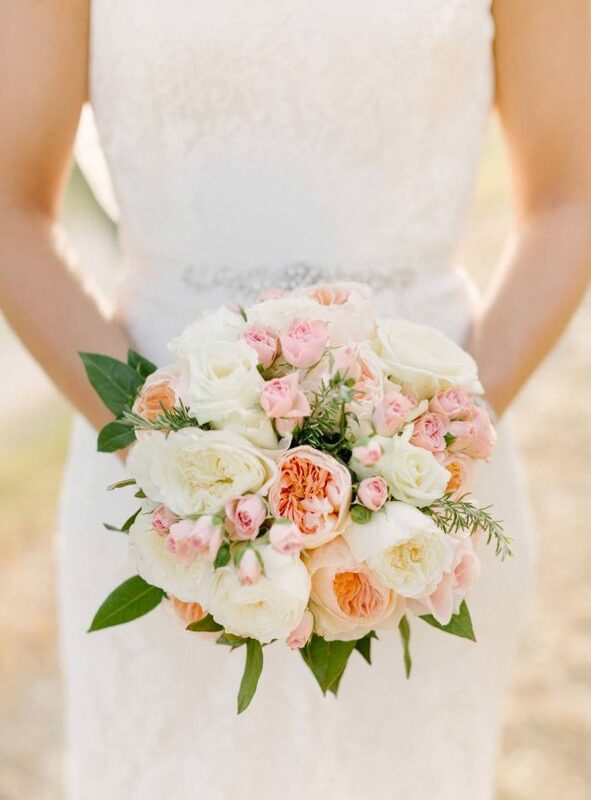 Lovely bride carried a delicate scented hand tied bridal bouquet of english peach Juliet and ivory Patience David Austin roses blended with tiny spray pink roses, just few rosemary sprigs and leaves in between roses. 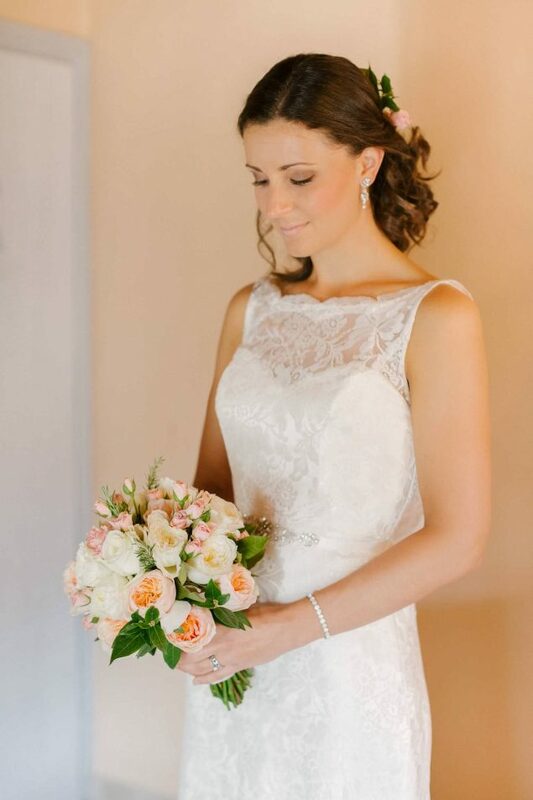 Ceremony set was simple and elegant with fresh roses petals on aisle and a small table ceremony decor of beautiful hot pink hidrangeas. 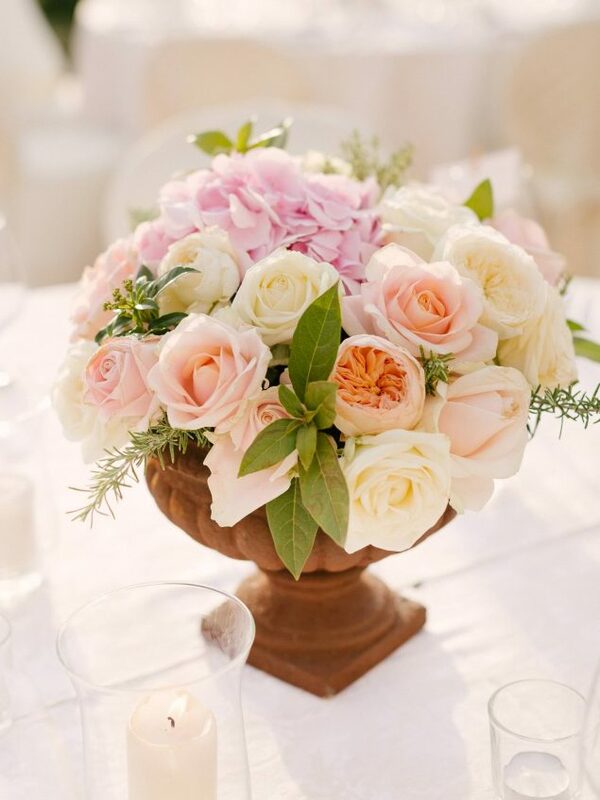 Reception flowers were gorgeous by themselves and rusty bowl was perfect to enhance beauty of country themed flowers.